Hi Barb and Dino. I wanted to let you both know what a great experience I had this past weekend taking the “One Stop” courses. True professionalism right from the moment I enquired online. I really enjoyed your approach, Dino, regarding how much we can put back into this great sport and valuable environment. Thank you to you both. Thank you so much for this weekend! I feel so much more comfortable with all types of firearms because of you. Yes, the days were long, a little longer than planned, but you were very thorough and made sure everyone was comfortable. You even gave us more tips than I’m sure is required for you to teach us so we are not only safe, but building good foundations to work upon in the future. Anyways, I know it’s not much, but from a person who has never touched a handgun until this weekend, I am now confidant in my abilities to handle them safely and with care, I’m actually even a little excited to get out and practice! Thank you for your patience, humor and thorough teaching! It was a pleasure attending your course this weekend, I learned a lot! Both Dino and Paul were amazing! They are both very knowledgeable and patient. I feel the way the course was structured and the content that was being taught was right on. Dino and Paul made sure everyone was on the same page and were very good at explaining technical points. I am very excited to be a part of this community and will hold firearm responsibility and safety to a very high level while keeping Dino and Paul in mind. Please send my love and many thanks to Dino and Paul, thank you. Thanks a lot Dino for the wonderful course! Really above and beyond my expectations.Students learned a lot beyond the book, thank you! Here is the group photo. Even though I was new to the scene of fire arms and a little nervous, Dino made the class interesting and kept us on our toes. A big thank you to Dino for the extra care in my special needs regarding food. I’m very fortunate to have taken the class with Dino and learned a lot. Would you be able to let me know when I should see my papers in the mail from class? I just want to thank you so much for an outstanding program on Saturday. You did an amazing job and certainly there is no question that you know what you’re talking about. All 3 of us enjoyed it very much and we are already trying to organize a Sunday when we can each be available to take the Restricted Course. M. also told me that there were some things you taught that he did not learn from his place of employment and plans to put them into effect. I must also tell you that the first thing we did Sunday was to go to Cabela’s. Thanks once again for the birthday pizza, that was certainly a surprise. I wanted to extend my heartfelt thanks to you, Dino and Paul. My husband Glen and I thoroughly enjoyed our weekend and really appreciated the course being taught in such a positive yet professional manner. Barb, your husband is one of the most patient people I have ever met and it was an absolute pleasure watching him work. Few people can take the good, bad and ugly while keeping their cool and remaining so upbeat. I don’t have enough nice things to say about him. Paul was equally professional but also so lovely, and I think everyone in our very full class was able to take so much from their instruction. Thank you Barb for being so responsive and also for your salads and snacks, we really appreciated the meals along with everything else. You are all wonderful and I can’t thank you enough. If there is ever anything I can do to assist you with your courses please don’t hesitate to ask. I live close to the office you’re using and would be more than happy to offer any assistance you may need. I took the course with Dino about a week and a half ago and wanted to provide some feedback to let you know that I really appreciated the calibre of the teaching that I received. As with any form of certification there is always certain criteria that needs to be met for instructors to be able to perform their duties effectively. However, I felt that Dino, and Paul, really enjoyed what they were doing. That is something that cannot be measured by criteria. I truly benefitted from the course and I feel privileged to have been taught by such an experienced and passionate instructor. I hope to add to the respect of hunting and shooting culture by imitating the level of concern for safety and ethics that Dino did during our course. I want you to know that it only took a week and 1 day to receive my exam back, so I have already been able to send for my PAL. I would like to start off by saying your husband is a great instructor. The past two days I’ve learnt things that I probably would never have found out by myself. Very good 🙂 it was a easy to understand course, with very nice people. Your husband said that we would also be able to get our turkey license the other day and I’m just wondering how I would do that? Thanks again, J.S. Thank you for helping us register and complete our courses. We really enjoyed working with you to complete this and found Dino to be a very informative instructor. We look forward to many safe hunts and great memories using the foundation gained in your courses. While it is fresh in my mind, I wanted to pass along a thank you to the both of you. I know that I was able to get in on today’s program thanks to a cancellation. This program was run top notch from start to end, including the signing up, right on through to the exam at the end of today. It is easy to see that you both enjoy what you do and it easily reflects in how your program was delivered. Again thank you for an enjoyable day of learning, a special thank you to Barb for the good food and allowing Dino to bring in his great new crossbows to support his teaching!! I would like to thank you both for your wonderful efforts on lining up this past weekend’s courses. Barb, your efforts in putting up with my phone calls and emails, was most gracious. Dino, your instruction resurrected many, many memories, and the courses you taught, were head and shoulders above the five courses I’ve taken in the US. Each time I took my own kids, or other youths through the courses down below, I attended and took the tests again and again to reinforce both my safety, and the youth I trained to hunt. I greatly appreciate the answers to my many questions, as I was comparing laws on both sides of the border. A truly fantastic weekend. In the future, I may well take the next level of exam(s). Please tell Dino that I thought he was an excellent instructor. Very clear and easy to understand, serious with just the right amount of humor thrown in. I’d never handled a firearm previously. He helped me to feel safe and comfortable. Many thanks. Just wanted to thank you. I really enjoyed the courses last weekend with Dino, it was really great to have an instructor who so clearly enjoys teaching and emphasizing better marksmanship and safety. I really appreciated the pains you took to offer us the benefit of all your years of experience. I’m already planning on my first trip to several stores to see what I might get myself. I would love to pick your brain before I make a purchase just to see if you have any suggestions. Hello Barb,As expected, Dino provided an entertaining and solid CRFSC course yesterday at the Barrie Gun Club. I want to personally thank you for all the background work and support that you provided for all my training ( CFSC, OHEP Hunter, Turkey Exam and CRFSC). Extend my gratitude to Paul Carson, and of course to Dino, who I’m going to have to find a way to see every once in a while, as he is just too entertaining. It has been truly a wonderful experience, and I will highly recommend you to any of my friends, co-workers or anyone interested. 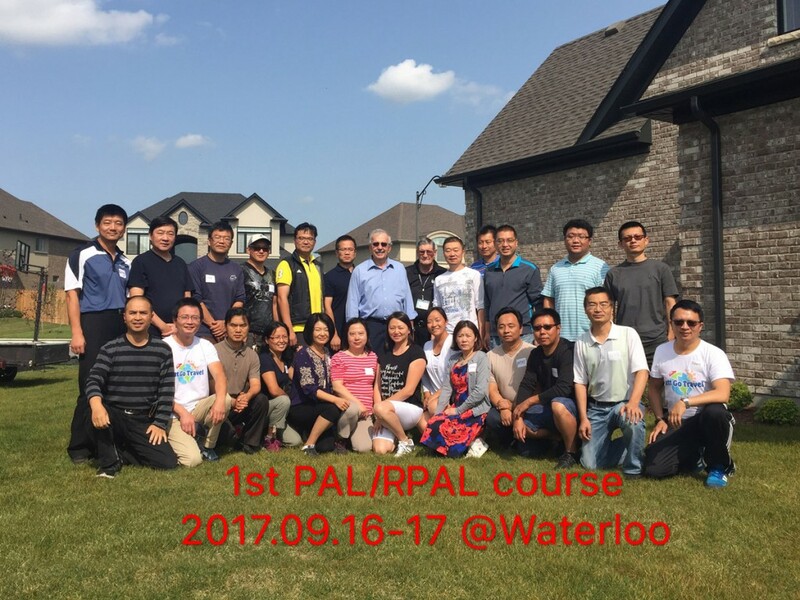 Thank you very much for your patience, effort, and time during this weekend’s PAL and RPAL training courses. It’s nice to know you are being trained by 2 of the best in Canada. Once my paper work has cleared I will be coming in for a tour of the club. At that time I will also be inquiring about membership and continuing my training and progression. Top shelf gentlemen!! Dino, I never got a chance to thank your wife for the incredible lunches. Please thank her on my behalf. You have my referral. Be safe. I’d like to take this opportunity to formally thank you both for the very informative weekend just past.I had no idea what to expect but found that I came away with a far more informed understanding of what the sport is all about and knowledge of firearm safety. I also feel I understand more of what’s expected of me. I’d also like to take a moment to thank Barb for the food. I’m sure that she could find other things to do on a weekend then feed a roomful of hungry students. The food was excellent and plentiful. I look forward to getting to know you both better through the Barrie Gun Club.Again, thanks for sharing your knowledge, skills and time. Thank you Dino (Paul and Alex) and of course Barb for a great course this past weekend. It was very informative and the hands on was a great experience, you really leave there feeling confident that you will practice good safety with your firearms. I enjoyed the course and learned a lot. Thanks so much for your time. I wanted to write and say ‘thank you’ for a great weekend. I really enjoyed the course this weekend, and we all walked away with a vast amount of new knowledge. Please thank Barb for the fabulous meals, and Alex for his knowledge and time. Have a great Christmas. Best wishes to you and your family. Hi Dino,Thanks again for instructing the Hunters Ed. course! I really enjoyed learning in your classroom. Your teaching style is very logical, sequential, and very easy to follow. You had a lot of useful props, unting goodies, videos, and information that made the class enjoyable. I enjoyed listening to your personal experiences and helpful hints. I’m glad I had the opportunity to take your course. Thanks for the poster, magazine, and information package. All the best to you! P.S. The food was yummy and so were the snacks. Dino, Barb and Alex,I want to thank each of you for the recent P.A.L course you conducted on Feb 25th in Barrie. The course was very educational and most impressive with the major focus on all aspects of firearms safety. The small touches with the home made lunch and snacks was very much appreciated. Dino and Alex are professionals both in firearms and ammunition as well as in presentation skills. I thought going into the course that I knew enough about firearms responsibility however I am much more informed and knowledgeable having taken this course. I have been remiss for not thanking you for the excellent CFSC and CRFSC courses on March 3 and 4. The course material was extremely well presented and the hands-on segments outstanding. I was very pleased that the hands on segments, it went much beyond the minimum required. The tips and ideas throughout the course were greatly appreciated. The lunches were a wonderful surprise thank you Barb. Thank you again for making the courses educational and interesting. On behalf of Denise and myself I would like to thank you for putting on such a great seminar regarding the PAL and RPAL course. We are very interested in joining the Barrie Gun Club; I was thinking about giving a membership to Denise for her Birthday which is in December. P.S. Please extend our thanks to Barb for such great lunches. Just wanted to say thank you again for a great weekend! I learned a lot and had a great time. Your passion and knowledge for firearms and firearm safety is truly inspiring. You are excellent teachers. I had a lot of fun learning about firearms and firearm safety in such a fun and safe environment. I hope to see you at BGC soon! Hello and thank you both for all the help to get Christian his (minor’s) PAL and Hunting license. He enjoyed the courses and the lunches he said were great! He got his Temp hunter card today. Just wanted to pass along a big thanks to everyone involved for putting on a fantastic clinic this past weekend. You can really tell when an instructor believes in what he teaches, and Dino’s enthusiasm and enjoyment for what he does made it a pleasure to be in his class. I actually learned much more than I expected and had a great time. I will definitely be involved with the BGC again in one way or another in the future. Good Afternoon Barb, I just completed the course this weekend and I have learned so much and appreciated your husband’s honesty and his years of experience. In saying that I would like to know when the hand gun course is next available after April. It was an amazing weekend. You kept us interested and alert with your teaching skills and time just flew by quickly. We’re proud to have received 100% in our practical test and 96 and 98% respectively on our written exams. You can count on being recommended to all our friends and relatives. Dino did an outstanding job instructing the course. He is very knowledgeable. Meals provided were great. I will be recommending the course to anyone who is looking to get the training. Hi Dino, I just wanted to thank you for the excellent course you instructed this past weekend. You were so well prepared, informative and knowledgeable that it made the course a pleasure to take. I learned a lot and will take it with me throughout my life. Thanks again Dino, you are a marvelous teacher. Regards and all the best. Thank you for putting on an informative course yesterday. My son and I had never touched guns or been around them before so this was a great experience for us to learn to respect and see the beauty of guns without the fear. Dino and Alex have a lot of patience with all their students for both the student lack of experience and some of the questions they are asked. Now that I have been successful with the non-restricted course, I am looking to take the restricted course (just me because my son is only 16). Can you provide information about dates and cost? Hi Dino my name is Maria E… I had the pleasure of being a student of yours during the weekend of Nov 2 & 3… I just wanted to say thank you. You are definitely not just an indefinite asset to any Club or Association you belong to, but a respectful Instructor/Examiner.. Your consideration for the well-being of others was very beyond gracious.. You really made me feel very comfortable and had gone out of your way to make sure that I had something to lunch.. I also want to thank you for the kindness that you showed me.. Again Dino Thank You!! I’m honored to have had the privilege of being a student of yours.. It has been a while since the course. Firstly, let me thank you for the good course. May I say, that I have attended various courses/seminars over the years, only to be regaled with countless self-glorified anecdotes by the course conductor. Yours was absolutely not that. You taught the required material in an efficient manner, with just enough personal input to make it interesting and illustrate the point. My name is Maria, and I took your 1 stop course with my daughter Emily over the Oct.19/20 2013 weekend. This was her choosing and I went along for the ride. Glad I did. I have been meaning to write to both of you to tell you how very enjoyable the course was, and how helpful you both were.Paul was very concerned for our safety and that we do things right. Thanks so much PAUL! All your hard work paid off when we both got a 100% on the practical test. The classroom teachings were interesting and very informative. I know that Dino had to cover a lot of information but he made it very enjoyable, funny and he always kept our attention. I know that the days were very long and we were happy to leave to get some sleep, but we were also looking forward to coming back the next day!. I feel very fortunate to have had Dino as our instructor. Thanks for all the laughs Dino. The best part of the hunting course was the 10 minute go wild, sound session that we had, everyone had a great laugh using all the calls at once and sounding like a mad zoo! So Thank you Dino for all you help, and I wish you all the best. Barb, Thank you very much for the lovely treats that you made for us, it actually helped us make it through the day.I would refer you no problem. The classroom instruction was catered to all levels, juniors, experienced gun handlers and your non hunters. Luckily for me a seat became available for me this past Saturday… I want to thank you and Dino. Thank you for taking care of us and providing a good food. And thank Dino for teaching and making it fun. I really enjoyed the course and looking forward for the second part (restricted). I know you booked me for Feb 9th. I wanted to thank you very much for providing a thorough and rich experience during the PAL & Hunter S.C. Both Dino and Paul were prepared and very clear in their presentations. The way you reached out and supported your students was great. Offering to be a resource in the future is appreciated. You are super ambassadors for recreational hunting/conservation. Barb, thank you for a smooth registration process, informative emails and delicious desserts! I wish you well and hope to visit the BGC this spring. I just wanted to say thank you for the course. I found it extremely insightful and Dino was a tremendous help in all aspects of the education. Where do I take my yellow hunter and turkey forms in order to get a hardcopy license? I know Dino mentioned it, but I didn’t write it down. Thanks so much. Once I acquire my PAL, I’ll see you at the Gun Club! Hello Barb and Dino, Thank you very much for your excellent PAL/RPAL course and the snacks. I have enjoyed every minute of it and I do admire Dino for his affectionate professionalism and the enthusiastic approach to gun related matters. I will take Hunters course with you this year as well. I wanted to thank you for all the knowledge you gave me, I really appreciate your effort and time. I thoroughly enjoyed everything and will make sure to recommend you to all my friends and acquaintances. Again, thank you! You’re the best! Just a quick thank-you to yourself and Dino. The course was excellent and taught at a level that I think everyone, myself included, understood. Dino – great instructor! Thank you for making a long day enjoyable, I found the time went by quickly. Thank you for the privilege of attending your classes, your teaching methods were exemplary and we have a new outlook on firearms and hunting. Looking forward to a tour of the Barrie Gun Club one our licenses arrive. We wanted to thank you for being such a great instructor this past weekend. We both really enjoyed the course and we know that we took away a lot of important information. Your willingness to share your wealth of knowledge and to continue to be a resource for us if needed is greatly appreciated. We feel very lucky to have attended your course! Sarah W. + Ryan O.
P.S. Please thank Barb for the salad and goodies. P.S. Your salad and baked goods were a nice treat with the pizza! I had the course with Dino last weekend and I have passed the 2 exams (one-stop), I am really happy that I had those 2 courses with Dino as he is very knowledgeable and he is presenting the materials in very interesting way. Thank you very much for this wonderful experience and I will recommend Dino to all my friends. Shruti and I just wanted to convey our thanks to you two and Paul for the great class yesterday, it was really informative and we know Dino’s special tips will be quite useful in the long term. We were kind of nervous coming in, but truly enjoyed the class and are more comfortable with the handling of firearms now that we know how to do things safely. Also, thanks for the salad Barb! I just want to take a quick moment to say how great Dino is. I have been to a number of different courses for the past few years and I can say, Dino is one of the best instructors I have ever met. Very professional, straight to the point, always giving you more than you can find in the student manuals, explaining the theoretical and practical materials using common sense, giving great advice and tips based on his own experience. He is the one who creates a warm and positive atmosphere during the class hours. As I have mentioned in a survey, I have found your course on one of the online forums, and I’m very glad that I have chosen your school. I would definitely recommend Dino as a top level instructor to the people I know who want to take these courses. Thank you again guys for doing such a wonderful job. Please extend my appreciation to Dino and Alex for teaching fantastic classes. Considering they were pretty long days they made it still very enjoyable and it was a pleasure meeting them both. Thanks to you as well for all your help getting myself and Will set up for this! I will definitely recommend all of you to anyone else that may ever be interested in getting their safety training! Thank you very much for the great snacks and kind environment provided for the CFSC Non-restricted firearms course yesterday. I was really amazed with Dino and his great approach to teaching the safety actions and responsibilities with firearms. I am interested in doing my handgun license as well and was wondering what upcoming dates are scheduled for potentially completing this restricted firearms license. The course was great, wonderful experience. Great teachers. Lunch was good too, loved the home made cake ! Hope I can join the club one day. Feels like you are a friend! The presentation of the two courses (CFSC, CFRSC) were excellent! . . as I have said earlier that I was compelled to take the same because it is one of the mandatory requirements of the job I am eyeing for. But after the two courses, I have learned a lot and was encouraged to save a little amount to be able to purchase my own firearms soon . . . and maybe join a Gun Club in Barrie in the near future!